In this rapidly evolving talent landscape, organizations that don't keep pace with innovation will fall behind the competition, finding it increasingly difficult to recruit, engage, and retain top employees. More than half of what determines an employee’s performance rating is a reflection of the rater, not the employee’s performance. People are biased in their assumptions of what success looks like, and in their eyes, it usually looks a lot like themselves. Recency: emphasizing performance in the recent weeks when evaluating the full year. Leniency/severity: assigning satisfactory ratings to everybody/nobody. Halo/horn: basing the whole review disproportionately on one strength/weakness. Inaccurate performance data impairs employment decision-making and breeds mistrust from employees seeking honest feedback and transparency. This is exacerbated by arbitrary or counterproductive ranking that impedes collaboration and innovation. Furthermore, the standard annual review can impose long intervals without feedback, resulting in missed opportunities for timely corrective action and flexibility as goals change. As a result, the whole process can feel like a waste of time for manager and employee alike, even though both would benefit from developing the employee’s overall mastery and autonomy. Modern performance management is good for business. Redesigning performance management has directly increased employee engagement for 90 percent of companies. When employees believe their organization effectively assesses individual performance, they are six times more likely to be engaged. Two years after Gap increased the frequency of performance discussions and moved from annual to quarterly goals, it achieved record completion of store-level goals. Two years after Patagonia adopted the Objectives and Key Results (OKR) methodology, both individual and financial performance improved. Investing in performance management that meets the modern needs of the organization and its people strengthens recruitment, retention, engagement, and of course, performance. That’s why 79 percent of executives worldwide rate performance management redesign as a high priority. Those who don't adapt will fall behind. If they don’t outright dread them, supervisors and subordinates are irritated by traditional performance appraisals. Those same appraisals even drive a quarter of men to tears. Rating or ranking people triggers “fight or flight” responses that impede their ability to engage in rational and reflective conversation. Because of the pressure and expectations associated with annual reviews, they tend to de-motivate employees and drive them to disengage. Harder to recruit and retain, resulting in increased turnover costs. Less engaged and productive, which compounds those costs. Traditional or not, performance management is costly. Corporate Executive Board calculates the average manager spends over 200 hours on performance reviews every year, which adds up to about $3,500 per employee. By understanding and working to fulfill the needs and expectations of today's workforce, modern performance management strategies can improve the return on this investment. 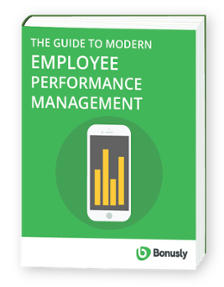 In the next chapter we're going to explore the expectations of modern employees in detail, and identify how different performance management strategies either satisfy, or fail to meet those expectations. 79 percent of executives rate redesigning their organization's performance management strategy as a high priority. That represents an increase of eight percent over the past three years.